Its warm and natural appearance with its clear colour and fine grain makes Beech one of the most used woods in Europe. Beech is an european species that mostly comes from Western and Central Europe. Compared with other european species Beech is large in dimension. Moreover, in some regions the Beech tends to have a great tension and buckles as a result of irregular annual ring formation. This veneer is available either crown cut or quarter cut and as a constructional veneer. Its grain is fine and its fibre is straight, although slightly twisted fibres may occur in very thick trees. Growth rings are regularly differentiated, the spring area is much wider and lighter colour than the summer area. Its colour is whiter than the well-known steamed beech that tends to be pinkish or light brownish. The sapwood and heartwood are not clearly separated, often when Beech get older, the heartwood turns brown. Natural Beech, infinite range of possibilities. As a fairly plain wood veneer, Beech Crown Cut is widely used in many areas of woodworking including interior doors, kitchens and furniture-making, and is excellently suited for bending. Beech also is well-suited for work benches as well as being wood construction lumber. 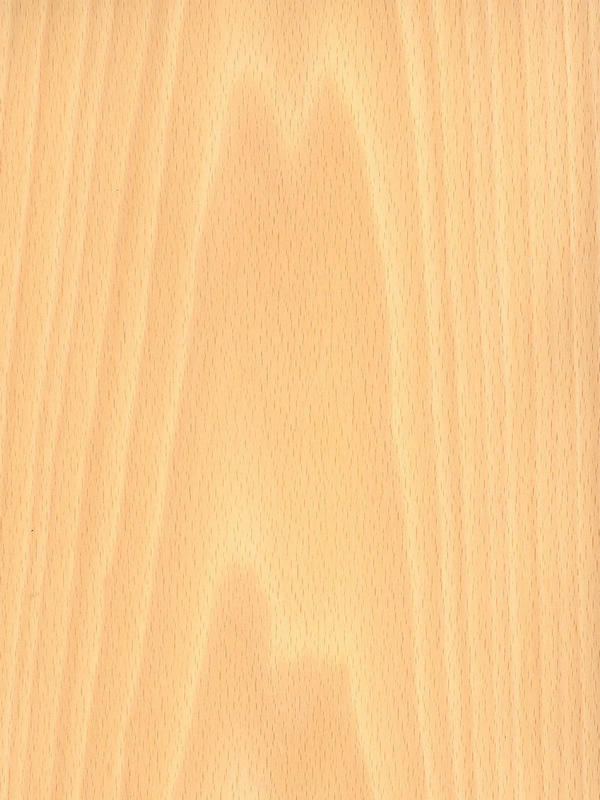 Beech Crown Cut White is characterized by a warm colour that highlights the natural wood appearance. Due to this, its whiter colour enables the creation of warm spaces that convey harmony and well-being. This veneer and its wide range of possibilities thanks to its natural appearance, allow this product to come into new grounds by imagination.